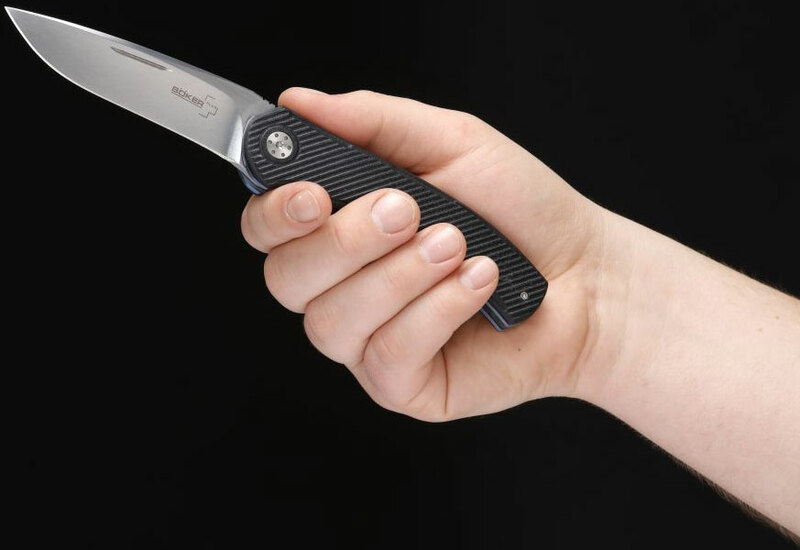 Many times before, South Africa has demonstrated that it belongs to the great nations of custom knife makers. André van Heerden and André Thorburn have a worldwide following for their elegant and refined designs, and the A2 42 represents their first collaboration. 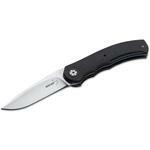 Boker immediately fell in love with the concept, which is a great fit for their portfolio. 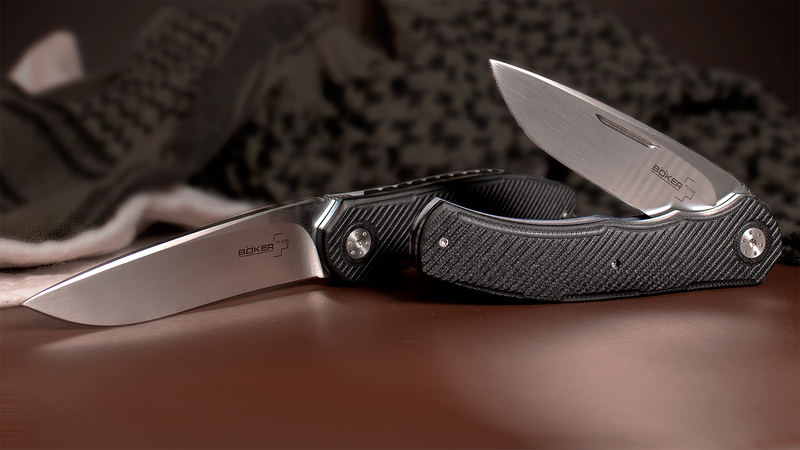 They are therefore delighted to present to you the Boker Plus A2 42. 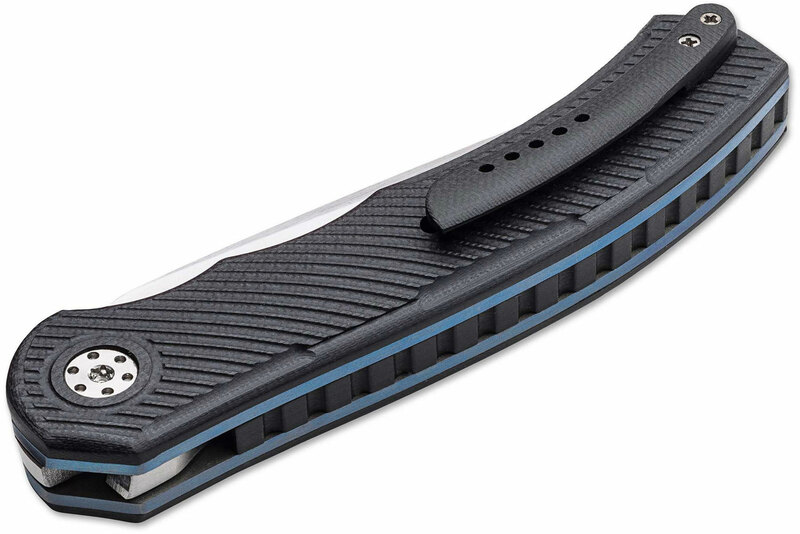 The blue anodized titanium liners hold 3D milled G10 scales and a clip that is also 3D milled from G10. The blade is forged from VG10, while the dynamic grind gives it a look that uniquely combines elegance and power. The fine horizontal satin finish on the blade enhances the character of the A2 42 as much as the spacer, which is also milled from G10. The nail nick facilitates fast and convenient deployment, which is further enhanced with the IKBS ball bearing system. The A2 42 is a very balanced design that will attract those who enjoy gentlemen's knives or elegant pocket knives. Hey, I wanted to share "Boker Plus A2 42 Folding Knife 3.625 inch VG10 Blade, Nail Nick, Black Milled G10 Handles" with you from KnifeCenter.